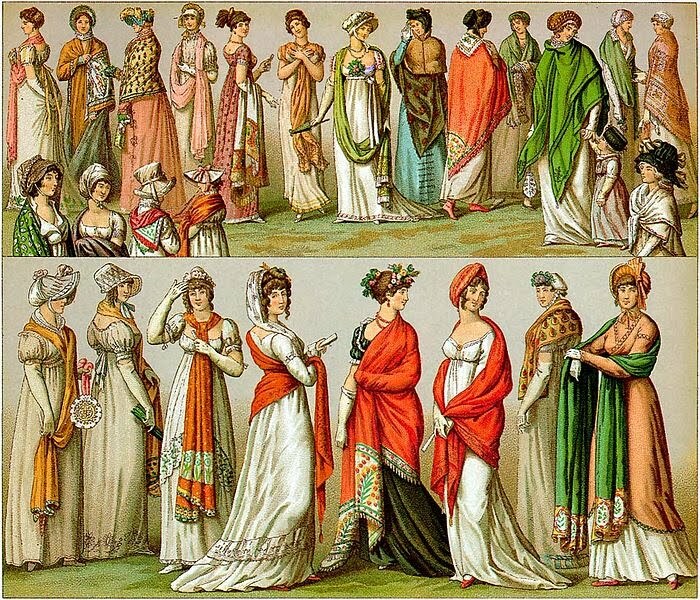 This one is all about Quick Christmas Gifts and the Regency Period. This is the one where I knit socks, socks and more socks... and try the Starmore sweater one more time! Contest Thread - Help me figure out what to do with this yarn! In this episode Natalie tells all about her day at the Columbia Gorge Fiber Festival as well as her spinning adventures during the month of April. The cat that ate the business card sitting on my Columbia wool! Winter is here or in the Pacific Northwest we call it Wetter. I might as well call this one the Burl Ives Classic Episode, but I was have a pastblast of Christmas media the night before I recorded this. Cloudy with a Chance of Fiber Forum (on Ravelry) I'll be posting the Softness Debate thread there. The Episode of Murder Most Horrid We All Hate Granny. (she survives by wearing layers of knitted garments)- warning, the humor is slightly dark. I think you can find the episodes on YouTube. This is Natalie here. I'm very excited to host this upcoming #knitchat on Thursday November 18, 2010 (5 PM PST/ 8 PM EST). I have a feeling this first one might be modest, but that's good, it will be a great opportunity for everyone to get our feet wet with a Twitter chat on knitting. Ever since I first started tweeting, I've found that it's an excellent way to find others who are interested in the same things that I am. In this case knitting, crochet, and fiberarts. If this goes well, I may start hosting this weekly. If I can't manage it, I may tag some very willing volunteers to help moderate the chat. Knitting is about community afterall. This new phenomenon of social networking online can be open to all willing folks. If you're interested do come join us; love to see you there! How do I participate in the upcoming #knitchat? On Thursday November 18, 2010 at 5:00 PM (Pacific Standard Time) log on to Twitter and start chatting away (including the #knitchat hashtag in the text of your tweet. The chat will last approx. 1 hour long. The moderator of the chat, in this case me, will tweet the questions that will guide discussion. Don’t worry I’ll label the questions “Q1,” “Q2,” etc. and I’ll repeat them several times. Chat and respond away. Have fun Please offer your own wisdom, wit, happy smileyness and lovely knit related comments. The last five-ten minutes we can spend time introducing ourselves and plugging our sites, latest FO (finished object) that we’re proud of etc. Also, if you’re shy, you don’t have to contribute to the discussion. Just type the “#knitchat” hashtag into the “Search” on Twitter and refresh every minute or so. Voila you will see the chat happening before you. How do I follow along or contribute to discussion in a #knitchat? How the conversation works. With every tweet you want to contribute to the discussion type in #knitchat at the beginning or end it doesn’t matter. When you search for this #hashtag (#knitchat) in Twitter and refresh the search, voila… you will see a stream of tweets shared by your fellow knit tweeters. How does the numbered question thing work in a Twitter discussion? If you get lost in the case of our #knitchat discussion, always look for the text “QUESTION POST” when scrolling through the recent chat/tweet history. What are the questions for #knitchat? Q1) Introductions? Who are you? Ravelry ID or handle? Q2) What is your favorite standby knitted holiday gift? Q3) How do keep your holiday projects organized? Stay on task? Methods? Tools? Q4) Do you have any holiday gift fails? What were they? Q5) Do you have any other coping strategies? Q6) Any cool quick knit patterns you want to share? Any cool gift ideas for knitters you want to share? Gwynned's Hat (from Knit Scene Fall 2010) - NL- I'm knitting this in Asland Trend's Invernal. It's a gorgeous project and a breeze to do. Remember you can get a hold of us if you have any questions or feedback via cloudychancefiber@gmail.com . Here are the photos of the yarns up for grabs in Episode 8's podcasts. Hey, y'all. There's only one contestant vying for the Yarnia and none for the Shetland handspun. Here's your chance. Post your answers or even best guesses. It doesn't matter if you're wrong. If there aren't enough participants I'll put everyone who comments into the pools for both yarns. To enter read the details in Episode 8's post and follow the directions. Good luck :) Contest 1 - Where was I knitting? Prize: 2 skeins approx. 50 grams each of homespun shetland wool in sport weight. Instead of 1 now 2. Contest 2 - What's that sound at the end of the podcast? 1 350 yard skein Yarnia Estrel ( 34% Bamboo; 29% Merino; 27% Wool). Sweet... super sweet! Okay, here's where I confess. The yarn I originally promised from Yarnia a cotton bamboo blend was actually gifted from my stash. My deepest apologies. But I stopped by lovely yarnia and picked up this even more gorgeous (in my opinion) cone of Bamboo/Merino/Wool. It's enough to make a pretty luxurious muffler. We're now available on Podcast Alley!